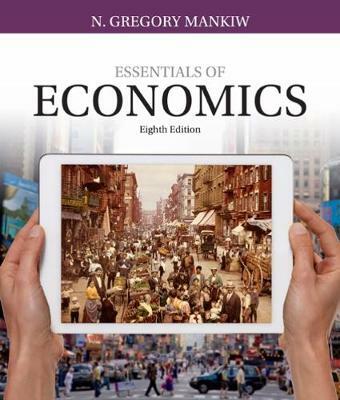 Now you can master the basics of economics with the help of the most popular, widely-used economics textbook by students worldwide -- Mankiw's ESSENTIALS OF ECONOMICS, 8E. With its clear and engaging writing style, this book emphasizes only the key material that will help you better understand the world in which you live, will make you a more astute participant in the economy, and will give you a better understanding of both the potential and limits of economic policy. The latest relevant economic examples bring essential concepts to life. Acclaimed text author N. Gregory Mankiw explains, 'I have tried to put myself in the position of someone seeing economics for the first time. My goal is to emphasize the material that students should and do find interesting about the study of the economy.' Powerful student-focused digital resources are available in MindTap and Aplia digital learning and homework solutions that reinforce the principles presented in this edition.